Eighth-grade student Oldis Zapata welcomes E.B. Lewis to the Ventnor Educational Community Complex. E.B. 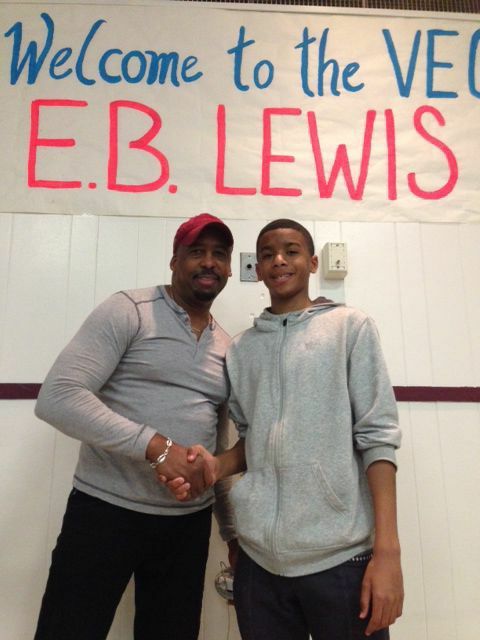 Lewis attends a luncheon with Middle School students and teachers. Eighth-grade student Alexa Ahedo shows E.B. Lewis some of her artwork. E.B. Lewis signs a copy of his book with Jacqueline Woodson, 'Each Kindness,' for eighth-grader Sean Acosta. E.B. Lewis visits with Middle School librarian Debbie Brahmi. VENTNOR — Children’s illustrator and fine artist E.B. Lewis spent the day at the Ventnor Educational Community Complex on Friday, March 29. E.B. Lewis has been a professional artist for over 35 years. He has illustrated over seventy books for children including ALA Notable Books and Coretta Scott King Illustrator Award Winners, such as "Talkin’ About Bessie: The Story of Aviator Elizabeth Coleman," "Down the Road," "The Bat Boy and His Violin," and "The Other Side." Most of his books have a common theme — confidence and love. His message to the students was “find your passion” no matter your age. A natural born teacher, Lewis captivated students in kindergarten through eighth grade at three assemblies throughout the day. The children were enthralled with his presentation, and every student was given the opportunity to purchase a book for Lewis to sign. Eighth-grade student Alexa Ahedo brought her own portfolio for Lewis to see, and he was extremely impressed with her artwork. 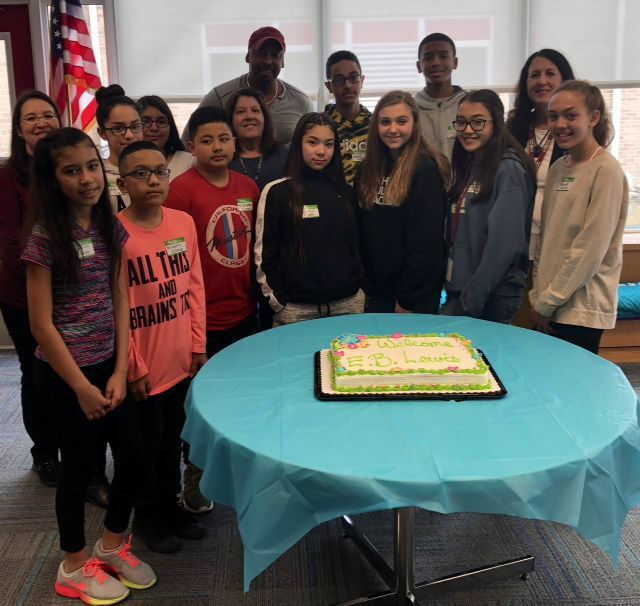 Eleven artistic Middle School students, including Alexa, were invited to join Lewis for a special luncheon in the library. He gave them all advice about pursuing art as a career, especially the importance of reading to expand your knowledge of the world. Lewis, a resident of Folsom, attended Temple University, majoring in graphic design, illustration and art education, where he discovered his medium of preference was watercolor. After college, he taught art in public schools for 12 years, and now teaches at the Pennsylvania Academy of Fine Arts. His works are displayed in museums and private collections and sold by art galleries throughout the world.